230 – 400 V photovoltaic inverter market in 2017 surpassed USD 500 Million. Growing deployment across the downstream sector coupled with rising product consignments to China will nourish the business outlook. 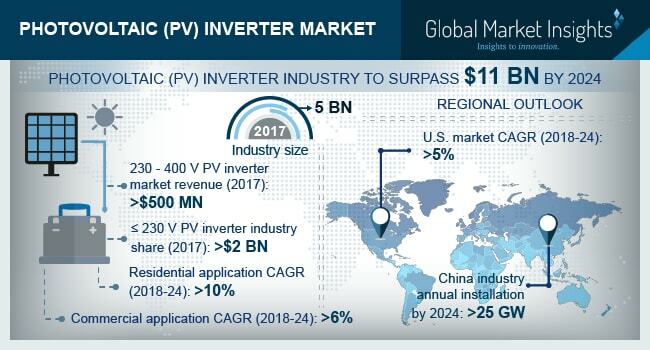 400 – 600 V PV inverter market is projected to grow owing to their large-scale implementation across industrial installations along with favorable utility aided solar installation amenities. MEA region, in 2017, experienced a strong growth subject to Turkey’s contribution toward new product installations of over 2.5 GW.